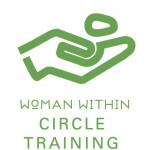 Woman Within Circle Training will set the standard and introduce you to a new set of communication skills needed for a successful Woman’s Circle. You will learn to create a safe, confidential, cohesive group that can support each other’s path towards empowerment without judgement, advice or storytelling. How much will it cost and what else do I need to know? 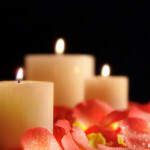 Whether you are joining an existing circle or part of a group of women starting a new one, Woman Within Circle Training will give you the tools needed to help you and your group. If you have any questions or would like to request a Circle Training in your area, please contact Joanna Klein Stanfield, Director of Circles.